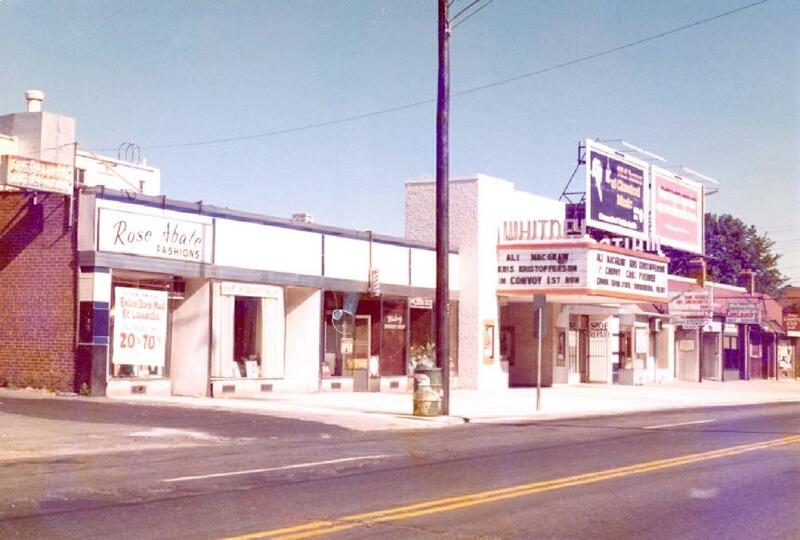 Thursday, April 25, 1940 marked the grand opening of Hamden's third movie house, the Whitney Theater, at 1220 Whitney Avenue. 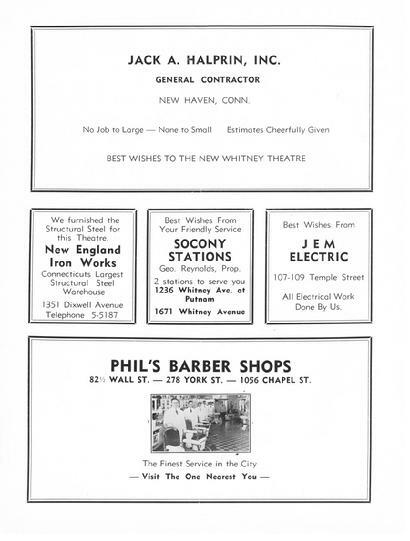 The Dixwell Theater opened before 1920 and was rebuilt after a 1938 fire. The Strand also got started in the silent era, and touted "talkies" in their 1929 ads. "The Whitney" was a step up. The first film to be shown there was a forgettable biography, "The Great Victor Herbert," starring Allan Jones and Mary Martin, the same film that was featured on the night the theater closed in 1985. Thousands of epic, forgettable, and in-between films played there during the intervening 45 years. The photo below was taken by the prospective buyers of the plot of land on the other side of the street in anticipation of constructing an iconic Hamden landmark. The landmark has been gone for more than thirty years, but the building it housed has been re-purposed and still stands today. 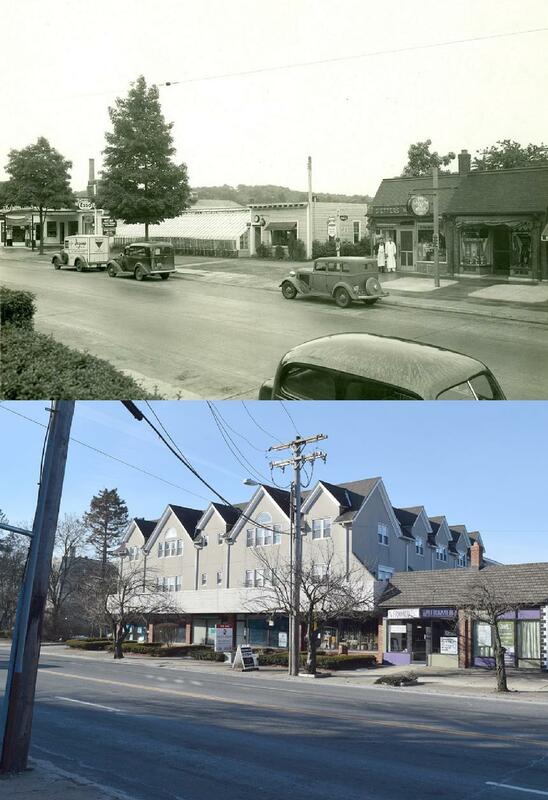 Hint: Some of the other buildings in this 1939 photo are still around. 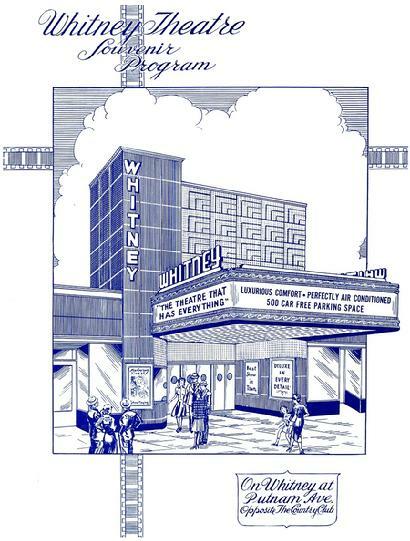 CHECK OUT the Whitney Theater dedication program dated April 25, 1940. Two PDF files of the program are below - pages 1 through 13, and 14 through 24. It features impressive interior views of the theater as well as numerous nostalgic ads from inconic New Haven area businesses. Admission in 1940 varied from 20 to 35 cents, depending on the show time and seating. The balcony was always a nickel more - and kids were permitted there only with an adult. In the fifties, we older boomers remember matinees costing a quarter for kids and 40-cents for adults - tens cents more at night. The candy that normally cost a nickel or a dime at the drug store was always a penny more. But, hey, this was the movies!